The unrelenting fans of Jeep Wrangler Forums have once again struck, finding what appears to be a test mule of the next generation Wrangler and gluing themselves to the rear bumper, sending the driver on a wild run to shake his tail. That proved to be unsuccessful, and as a result, JL Wrangler Forums has managed to take away that the next Wrangler will likely have a power retractable sunroof similar to the one seen on the current Jeep Renegade. Exposing this information are pictures posted on JL Wrangler Forums that seem to show controls for a MySky roof behind the rear-view mirror. When we tested out the current Renegade with the MySky power retractable roof, we found it to be a useful way to help the baby Jeep do what Jeeps do best, expose their occupants to the great outdoors. The plastic cover makes it possible to remove the roof panel entirely using a special key provided by Jeep, but gives the driver the option to leave it attached and open or close it like a sunroof using a switch overhead. It’s a worthwhile option for a vehicle that’s supposed to double as an off-roader that’s useable in the city as well. When following up with a source at Jeep, the forum heard back that it is “on the right track.” If MySky is indeed coming to the Wrangler, it will be offered in conjunction with a 3 piece hardtop, interchangeable hard and soft top roofs, and an optional hardtop glass panel to offer exposure to the elements when the weather is not permitting. 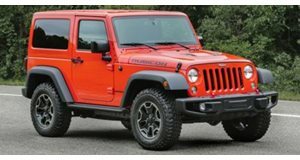 Better still, Jeep may offer these options with the ability to be combined with one another, keeping the Wrangler as a true dream car for the driver that likes to tailor every bit of the ownership experience. 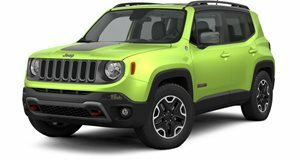 Logically speaking, the addition of MySky is a no-brainer for Jeep considering that the Wrangler is one of its best-selling models and the feature is a popular addition to the Renegade. Note: Wrangler rendering by JWF.